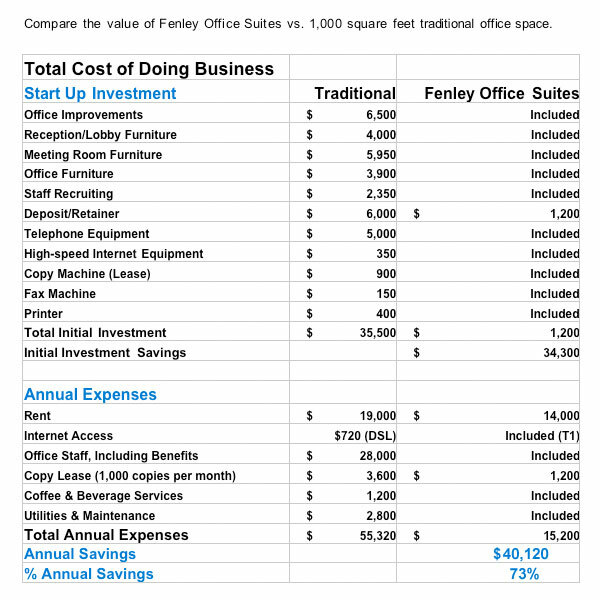 Compare Fenley Office Suites vs. 1,000 square feet traditional office space. Are you looking for the perfect office? Fenley Office Suites offers the perfect office solution to meet your every need. Our unique office solution is the complete package of technology, administrative support services and convenient Louisville office space locations that allow you to enjoy the luxuries of the best corporate headquarters. Whether you need one office or ten, our Professional Office Solutions give you the control to tailor your office package so you only pay for what you need. Our full service Professional Office Solutions allow you to move into your new office immediately with no large capital outlay or construction delays. We understand the need for flexibility for your growing business needs and when you need additional office space we will accommodate right away. No more worrying about expensive moves and additional administrative support costs. Whether its a professional answering service or event catering, we understand the need to project the highest level of professionalism and allow you to focus on your business. Fenley Office Suites takes on the cumbersome tasks of your office, technology and details with one complete package. Fenley Office Suites Professional Support Solutions offer you the opportunity to have your time consuming daily tasks completed by our professional staff, while allowing you to focus on the most important business opportunities. We offer word processing to accounting and administration to graphic design. 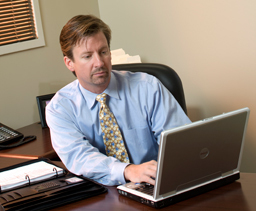 Fenley Office Suites is the exclusive source of business support services for our clients. Best of all our services are efficient, professional and affordable! Our Support Solutions offer you the flexibility of only paying for the services you need, when you need them. We allow you to have your own professional assistant without the expense and difficulty of a full or part time employee.